Some time has passed since the last blog entry. 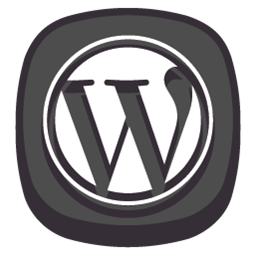 On the one hand, I put this down to a lot of work, both professionally and privately, so that a bit of the energy for blogging was missing. The last days is the beautiful weather to blame. I preferred to spend my time riding a motorcycle instead of sitting behind the PC … But I also got a little gimmick again. A colleague told me about it and at a large Internet mail-order company, I quickly found it. 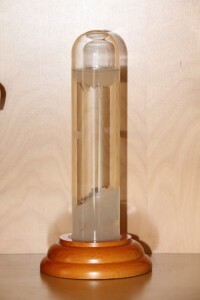 It is a so-called “FritzRoy storm glass“. A storm glass is known for a long time from the seafaring. There it was used to predict weather changes. 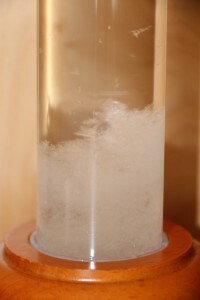 The storm glass is a glass cylinder filled with two liquids and hermetically sealed. The fluids are usually camphor and alcohol in saturated form, which do not mix but form small crystals. The formation of these crystals is related to the weather change. For a long time it was believed that the crystals react to changes in air pressure. 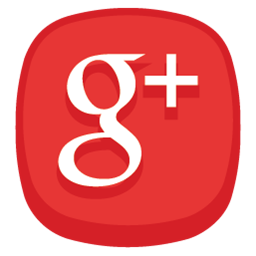 Recent research allegedly suggests that the crystals react to electromagnetic fields called sferics. These sferics are preferably formed in low pressure areas. Thus, the storm glass shows the approach of a low pressure area and thus the bad weather. The table (from the CarloMilano user manual) shows the different crystal weather relationships.